The Philippine islands have a fairly diverse slipper orchid flora, with about ten distinctive species. 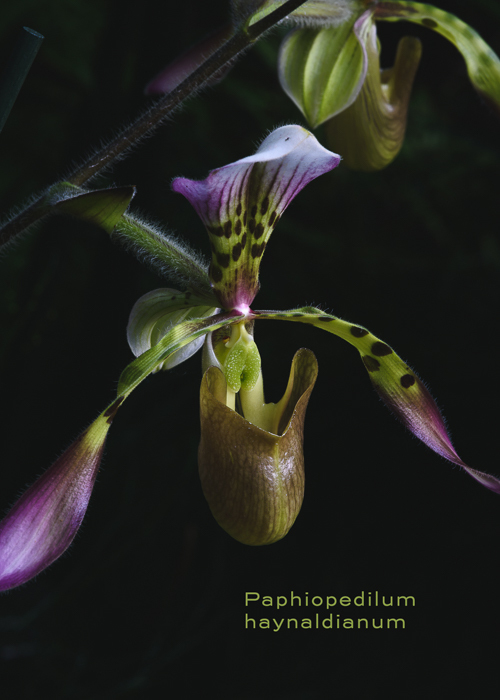 The most extravagantly spotted species, Paphiopedilum haynaldianum grows on rocks and occasionally as an epiphyte from sea-level to about 1400 meters on several of the larger islands. The Philippine climate has three seasons which can be tricky to emulate in the greenhouse: a hot dry spring when temperatures can reach 90º; a very rainy summer; and a cool somewhat drier winter when temperatures can drop into the 40's. Our plants do reasonably well in a warm greenhouse that reaches 85º in summer and falls into the low 60's at night in winter. Spotted multifloral Paphiopedilum haynaldianum is easily confused with its sister species, P. lowii, which grows as an epiphyte on the neighboring islands of Borneo, Sumatra, Java and Sulawesi, and on peninsular Malaysia. P. haynaldianum is distinguished by a longer narrower dorsal sepal, more spots and a peduncle that is villose (having long hairs) rather than shortly pubescent. 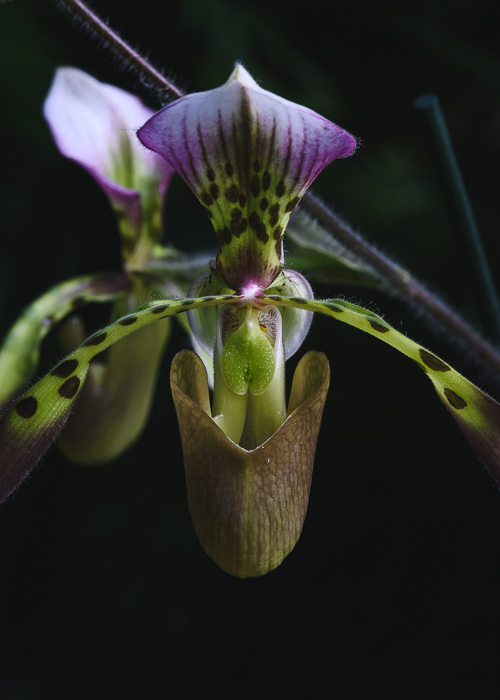 You can see Paphiopedilum haynaldianum on display now in the Orchid Display House. I LOVE this orchid...it's one of my favorites at the Atlanta Botanical Garden. It's so striking and it photographs beautifully. Grateful to know more about it! Glad you like it! It's one of my favorites, too. Those spots are just killer.